Who Will Your ‘Original’ Be? A few months ago, I had the opportunity to speak to a group of young ladies who are 2nd- and 3rd-year college students at a natural beauty and self-love symposium. As we dialogued about the things and people who have influenced their definition of natural beauty over the years and how that definition has changed, one of the young ladies brought to light an important observation. She stated that society has always had an ‘original’ or standard by which natural beauty is defined. This standard has served as a model to which people make a self-comparison in order to determine whether they measure up. As I thought about what she said, I challenged her and the other young ladies with this question, “Who will your ‘original’ be?” She immediately responded, “Me”. As I reflect back on this statement, I was forced to think about a number of things and people who I have knowingly or unknowingly used as a standard while on my own journey to understanding natural beauty and self-love—the path of becoming more, doing more, and living more. For a long time, I, too, didn’t see myself being the “original” to which I was comparing my ever-evolving self. Often times, as mentors, parents, teachers, and other influencers that have the opportunity to speak into and affect the lives of others, particularly our young people, we have to be careful when we say they can be anything they want to be. The truth is, each of us was uniquely designed to be a specific person—YOU. Many well-known people such as Oprah, Janelle Monae, Barbara Walters, Michael Jordan, Elvis, Bishop Jakes, and countless others were once just regular names with no significance to anyone. Over time, they became the best version of themselves—who they were created to be—and became great at what they were called to do. Oprah, herself, made this discovery. When she started her career in television news, she found herself trying to be like Barbara Walters. “It was something as superficial as trying to sit like Barbara and cross my legs like Barbara and lean into the desk like Barbara,” Oprah recalls. “Superficial, but still prohibiting me from being able to exercise the fullness of myself”. She soon realized that the key to becoming who she was really supposed to be began when she stopped “pretending to be an anchorwoman and pretending to be like Barbara Walters”. As a result, her career began to take off. There is nothing wrong with admiring or even aspiring to develop and embrace some of the values, skills, and character qualities of others. However, we need to make sure that we are not shying away from the message to tell others as well as ourselves that being the best version of YOU is the best you can be—100% of the time. I have friends who I admire for their persistence in going after what they want as well as their work ethic in pursuing their purpose. I have loved ones from whose life experiences I have learned what it means to be really bold and outspoken. Yet, I have to be careful that I am not making them my standard or using them to define who I should be or what I should do. When we begin comparing ourselves to others, start trying to define ourselves by what others say the standard is or pretending to be someone else, we rob ourselves and others of the unique gift we were specifically intended to share with others. Discover the freedom of being who you were truly created to be and become unapologetic about it. Then, you will begin creating the original version of you and the standard to which you can now compare yourself. You are unique, as unique as the DNA and fingerprint you possess. There has never been and there will never be another you on this earth. You are fearfully and wonderfully made—skillfully knitted together with a combination of gifts, talents and abilities that you are to use to serve others. Don’t become a carbon copy. Instead, be your own original. Be the one to whom you compare yourself to as you continually move forward in your journey to becoming more—the original version of yourself, doing more—the original things you were created to do and living more—the abundant life you were already destined to live. Who/what is my standard for becoming the best version of myself? How did I determine this? 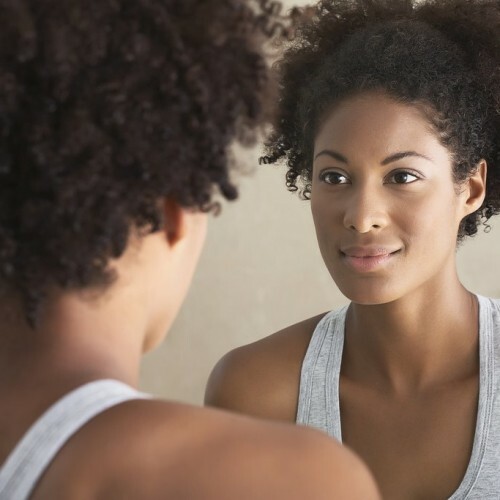 After answering these questions, write a letter to your original self as if you were 10 years older. Describe the person you are now and who you hope to become by then and seal it. Let’s see how close you come to that person you want to be 10 years from now. Make Your List & Check it Twice…Them Manifest Your Man!